We use design to help organizations delight customers, engage employees and partners, and build community, meaning, and stickiness around your brand. Getting this right requires both substance and style — truly understanding your audiences in order to provide relevant function and value, with a compelling, must-have look and feel. What’s your story? How do you hook people and get them to engage? Before jumping into creative production, it is essential to clarify your goals, articulate your brand, and understand the story that will resonate with your audiences. We help shape your branding and storytelling strategy to be a solid foundation for cohesive on-going communications. Brand Gold investigates your company, customers, and market to determine your optimal brand positioning. 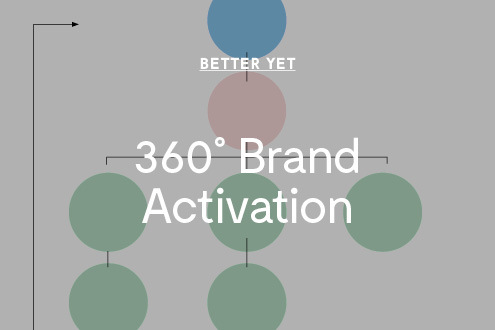 360˚ Brand Activation Roadmap is an idea generation session to apply your brand to all aspects of your business. How should you look and interact? How can you make the most of your communication budget? How do you become a brand that people *want* to be associated with? 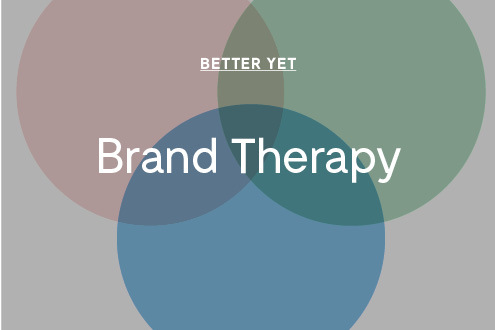 Contact us to discuss your project: kate@better-yet.com.